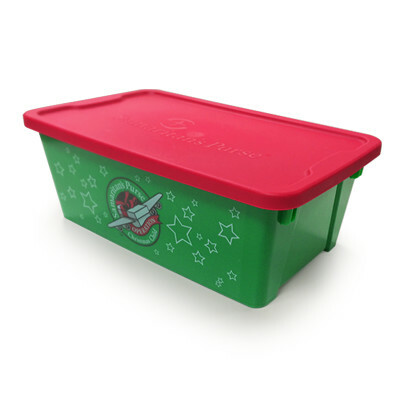 These sturdy, decorative Operation Christmas Child plastic shoeboxes are ready to be filled with gifts for children around the world and serve as a useful and valuable part of their gift—a treasured keepsake for years to come. Order in packs of 12. Specifically designed to fit well in our shipping cartons, these shoeboxes are 13 x 7.5 x 4.7 inches, slightly larger than the cardboard boxes. Please allow one to two weeks for delivery. Shoeboxes ordered after October 26 may not arrive in time for National Collection Week. Don't forget, you can always use standard-size shoeboxes purchased elsewhere as well.